VICTORIA—British Columbians will face alarming increases in hydro rates for decades to come because of the B.C. government’s reckless gamble on liquefied fracked gas and the Kinder Morgan pipeline and tankers project, says a new report from Sierra Club BC. The report, Hydro Bill Madness: The BC Government Goes For Broke With Your Money, shows how BC government subsidies to the LNG industry, offered in an attempt to lure companies to BC despite adverse market conditions, come at great expense to BC taxpayers and BC Hydro ratepayers. 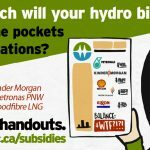 Power subsidies to even just two or three of the proposed LNG plants could amount to hundreds of millions of dollars per year, on top of royalty and tax cuts, the cost of building the Site C dam, and energy subsidies to other industrial users like Kinder Morgan. The report points out that Kinder Morgan’s Trans Mountain pipeline, if built, would be powered with subsidized energy at a cost to ratepayers of at least $540 million over twenty years. The handouts don’t stop there: the report questions the need for the multi-billion dollar Site C earth-fill dam project, which is intended to supply below-cost energy to fracking and LNG export facilities that may never get built, and will contribute to escalating hydro rates over the dam’s 70-year payback period. 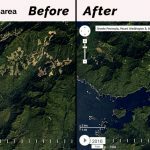 “The BC government is building an expensive dam we don’t need in order to offer subsidies to fracking and LNG companies, with BC hydro ratepayers footing the bill for generations to come,” said Vernon. Sierra Club BC’s report notes that alternative energy sources such as wind, solar and geothermal create more enduring employment while providing a more flexible and cost effective avenue for addressing BC’s future energy needs. “Our government is single-mindedly pursuing LNG export against all odds and at any cost, but we can choose a different future for this province and our Hydro bills. We have better, cheaper and cleaner energy options, like solar and wind. It’s not too late to stop the Site C dam,” said Vernon.